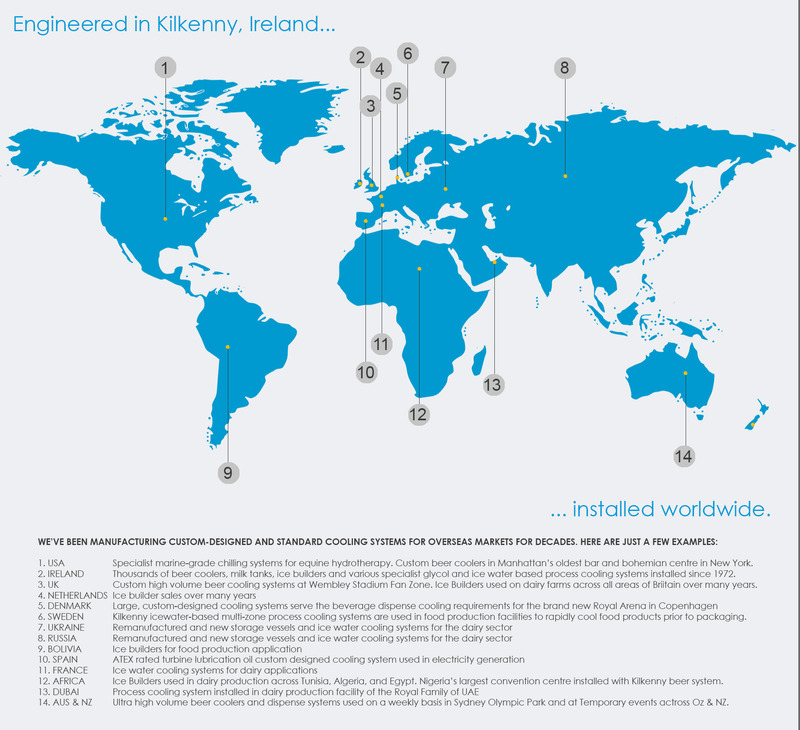 Kilkenny Cooling Systems has been designing, developing, and manufacturing high quality refrigeration equipment in Kilkenny, Ireland since 1972. Today we manufacture Ireland’s industry standard draught beer cooling system, and export a range of specialist high-spec cooling equipment worldwide. The company has been commended by the Institute of Refrigeration Ireland and has reached the final of the European Commission Awards for the Environment for new developments in energy efficiencies in beer cooling systems. The company is family owned and operated. Our brand is well established, and is synonymous with high quality, highly innovative, award-winning products and excellent customer service.